awaits for you to be. Buddha's Bungalow Byron Bay is where you want to be. Phone to check availability .... now ! Cancellation if caused by the client, money paid is not refundable unless the house is re-let for the entire period. If a refund is made due to the property being relet then a 25% cancellation fee will apply. Number of Guests should not exceed 6. Fees will apply for excess guests not agreed with the owners in advance. Departure - the property should be left in a similar state to its condition on arrival. Check-out time is 10am by the latest, to allow time to prepare the property for the next guests. Loss - the owners take no responsibility for the tenantÂ’s personal property. Best pad across from the shops & a short stroll to the beach. 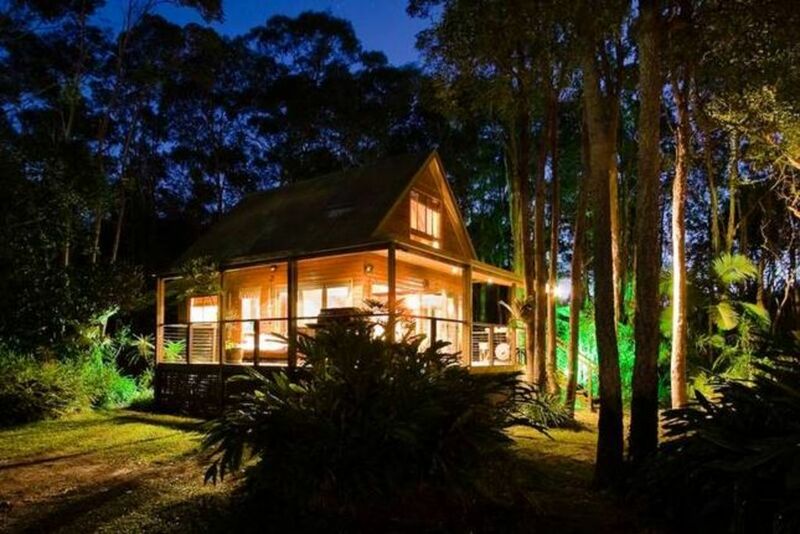 The house has a stunning forest backdrop, the beds are comfy & decks perfect for chilling. We'll be back. The location is close to a main road but the forest makes it feel lost in nature. Basic amenities and no air conditioning, but lovely vibe. Would go again. Property is in a fabulous location and the house is perfect for families and singles alike. Close to shops, close to amenities and the owners are awesome. Highly recommend this property and it would be the first place I would contact on our return visit. We all had a great time. Kelly came to say hi and was very approachable. Would recommend using this accommodation again in the future. The Buddha bungalow was perfect everything we needed. The location and surroundings were perfect. The owners were lovely and helpful I would highly recommend staying here!